This seminar will work as a music group and an introduction to two of the most well-known repertories of songs from Greece, the Rembetika and music from Crete. Although these two genres originate from two seemingly different environments, the urban scenery of Piraeus Port in the early 20th century, and the rural landscape of Crete, nevertheless they share a common influence from instruments and musics originating from Asia Minor, as well as precise songs (Tabahaniotika). 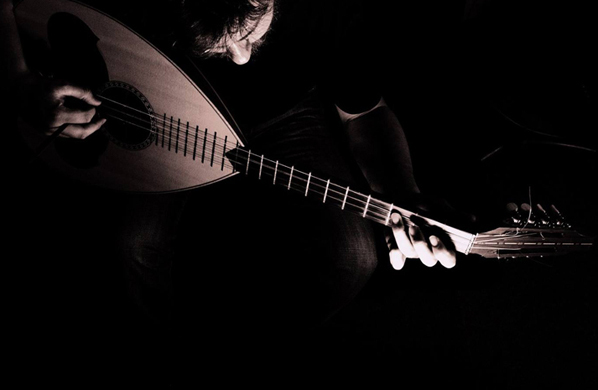 Giorgos Manolakis is an ideal tutor for this topic, as he masters the two central instruments from the two repertories, the Bouzouki and the Cretan Laouto and has a life-long relation with these two music worlds. The seminar will be open to all instrumentalists and singers, as it will provide practice and information about singing, instrument technics, style and aesthetics from various periods of these genres during their evolution over the last century.